Forex signals provide indications as to when traders can buy positions and when they can sell them with the least amount of risk. It is an alert system and it keeps traders updated on the direction of movement of the currency market. In addition to indicating as to when to open and close a trade, forex signals helps to reduce the stress associated with forex trading. This is especially true in the case of traders who don’t have the time to keep monitoring the market and take positions because of their other engagements. Actually, forex signals enables even novice traders to succeed in forex trading. The signals are sent to traders by forex signals providers through SMS, email and website or the trading platform. The ability to succeed in forex trading can be attributed to the fact that timings as regards buying and selling of positions are determined by professionals or experts in the field. They watch the markets continuously and provide signals based on Fundamental and Technical analysis and after doing a great deal of research on Major Indicators. Robots are also used for generating signals. Forex trading based on signals may be executed manually or automatically. In the case of a manual system, a trader receives signals from the service provider and he/she executes the buy/sell order. In the case of an automated trading system, buy/sell orders are automatically executed as and when the signals are delivered. Though forex trading using signals helps to reduces stress and enhance profits, it is a challenging task to choose the best profitable forex signals provider. This is because there are a large number of signals providers out there in the market and all of them do not provide the same kind of reliable service. The aim of this post is to provide traders with some information as to how they can choose the best profitable forex signals provider to work with. Choosing a wrong signals provider can result in a great deal of loss to traders. Therefore, traders should choose one that provides accurate, reliable and authentic services. It is a good to idea to observe the performance of some of the forex signal providers and even take trial memberships before deciding to purchase their package. Some forex signals providers guarantee some amount of profits, but it is important to verify their physical addresses and phone numbers before deciding to work with them. The best profitable forex signals providers indicate the entry point clearly and also provide a method by which traders can determine as to how the trade is likely to go. Quality signals providers give clear indications as to where the signals apply, what market types and currency they are good for and to what trading sessions they apply. They also provide exclusions and warnings. Traders must also make sure that the signals provider has sufficient trading history and check to ensure that the signals apply and provide consistent results. It is also important to ascertain the success rate committed by the signals provider. Further, traders should calculate the maximum loss incurred when using signals provided by the service provider. If historic data shows that the loss suffered is not more than 10 percent of the deposit, it is safe to work with this signals provider. If the historic data shows that the loss incurred is in the range of 20 percent, or even 30 percent, traders may be able to still make profits, but they will have to adopt a different money management policy and manage accordingly. The best and profitable forex signals providers cover multiple situations on the currency market such as the upward, downward and sideward or flat trends. Further, they provide signals for all major currencies such as USD, EUR and GBP when the market is open and when specific trading conditions prevail with explicit details. Avoid signals providers who promise unrealistic profits. The best and profitable forex signals providers do not promise that traders would make huge profits if they use signals provided by them. It is, therefore, a good idea to avoid signals providers that promise +5 pips or +7 pips profit from each trade. Such promises are unrealistic because of spread offered by forex brokers and slippage. Many forex signals providers send signals in a random manner and indiscriminately without following any clear methodology. Such signals may not be well analyzed and are, therefore, not very reliable. These types of signals are provided by service providers to take away traders money. They don’t operate their business with the clients’ benefits in mind. It is important to ascertain the times when the signals provider would send messages. Traders should know in advance when they could expect signals from the provider so that they could be prepared to enter trades. When the market is on, the best profitable forex signals providers update the status of the trade as they would be concerned about the market situation. This is because economic data and news move the forex market. Updates help traders to manage their running trades suitably. Finally, traders shuld also look at the monthly commitments in terms of number of signals offered by the signals provider. It is also important to ascertain as to whether the provider fulfils the commitment prior to deciding to subscribe to their service. Summarizing, using the best and profitable forex signals is a great way to do forex trading. 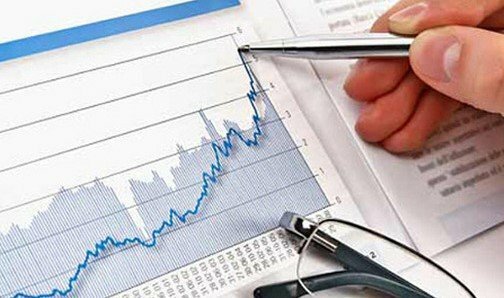 This helps traders to reduce the mystery as well as the risk associated with currency trading and generate profits in a reasonable amount of time, especially for traders who are doing other jobs as well. However, they should keep in mind the fact that no signals provider and no system can ever guarantee 100 percent results under all circumstances. Traders would incur losses, but they would succeed in more number of trades if they use signals.